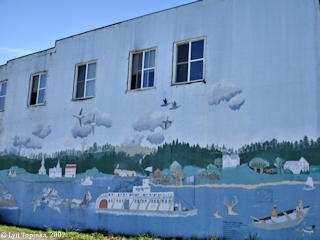 Click image to enlarge Mural and street corner, Rainier, Oregon. 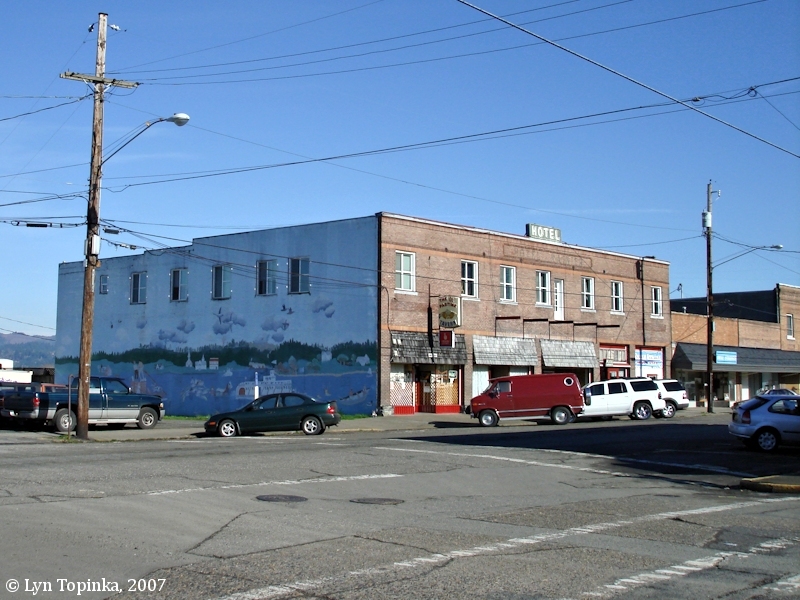 Image taken February 17, 2007. 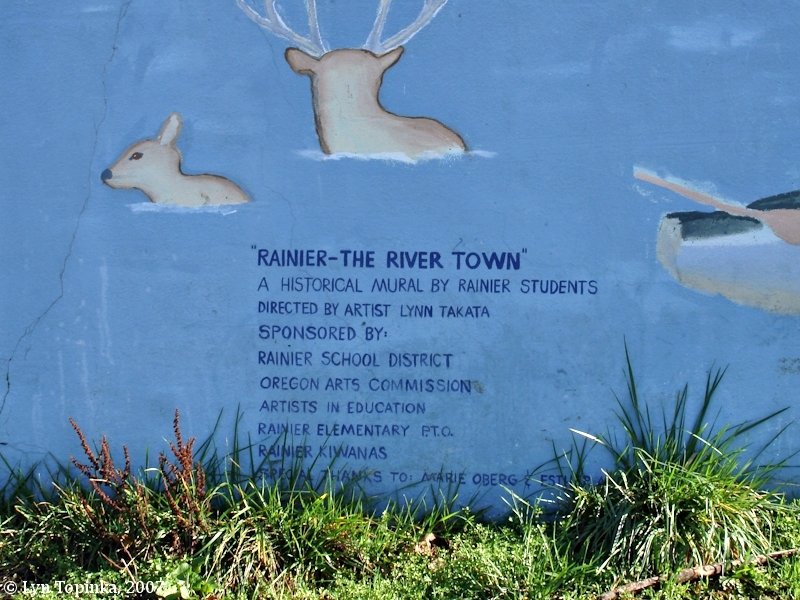 In the early 1990s a mural called "Rainier - The River Town", was created and painted by Rainier, Oregon students on the western wall of the old Hotel Rainier, located one block downhill from Oregon Highway 30 and Rainier City Hall building. 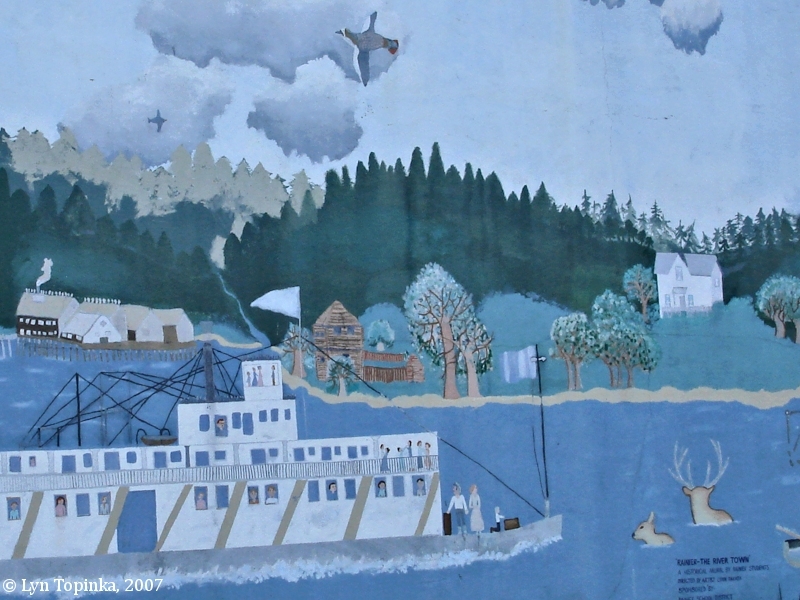 Unfortunately this mural was painted over and replaced in 2009 with a smaller mural depicting the hotel as it appeared in 1953. 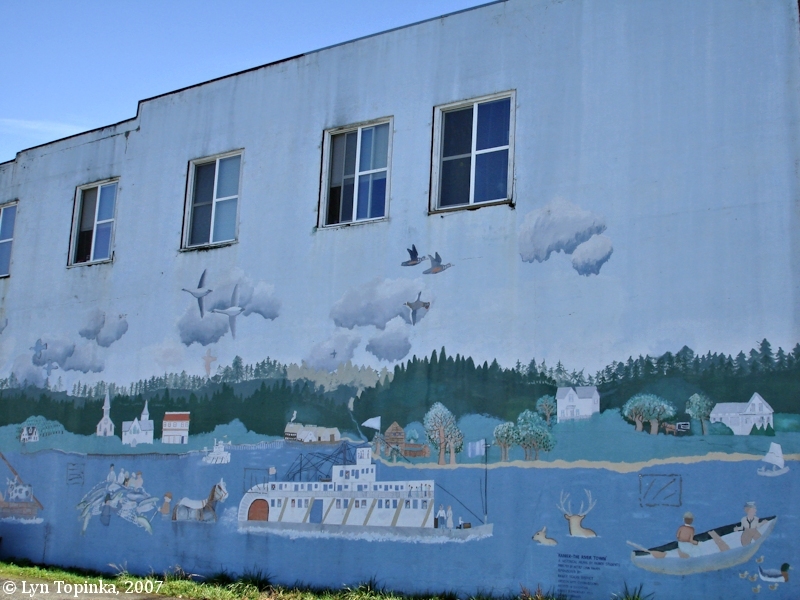 Click image to enlarge Mural and street corner, Rainier, Oregon. 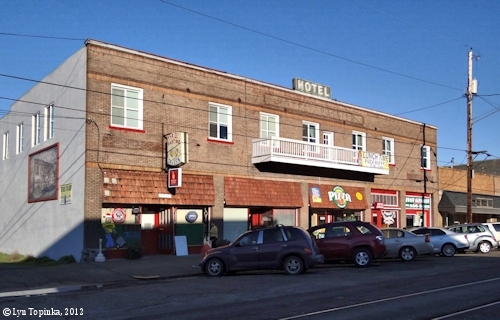 Hotel Rainier. Image taken February 17, 2007. 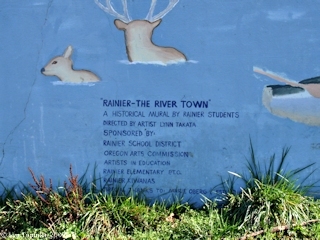 Click image to enlarge Mural, Rainier, Oregon. Image taken February 17, 2007. 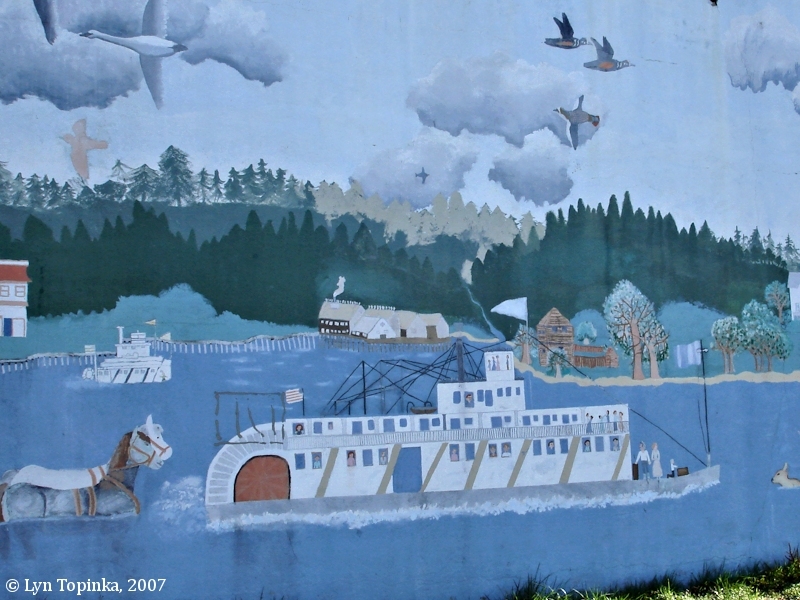 Click image to enlarge Mural detail, Rainier, Oregon. 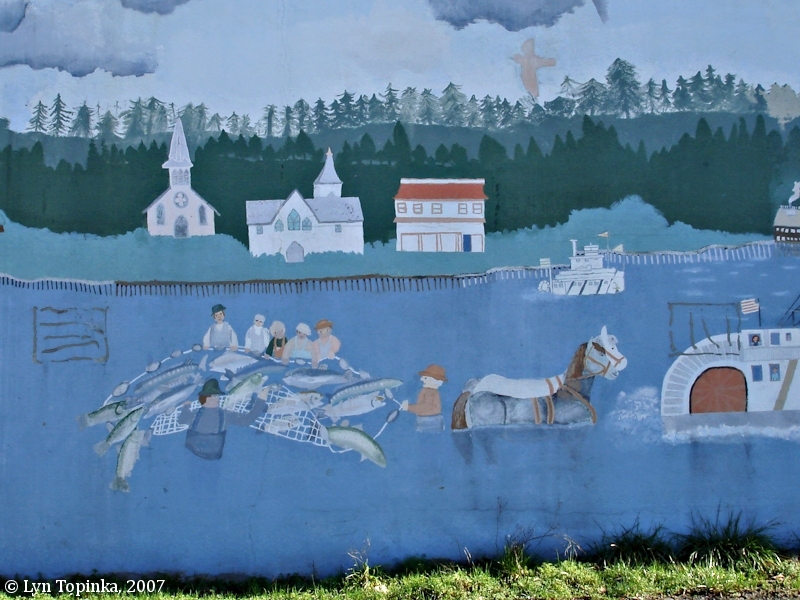 Seining for salmon using horses. Image taken February 17, 2007. 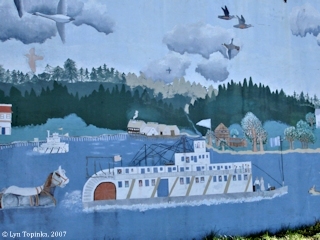 Click image to enlarge Paddleboat, mural detail, Rainier, Oregon. Image taken February 17, 2007. 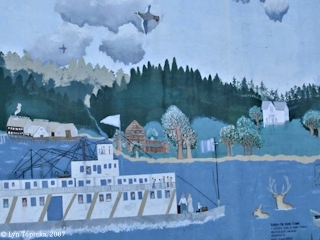 Click image to enlarge House, mural detail, Rainier, Oregon. 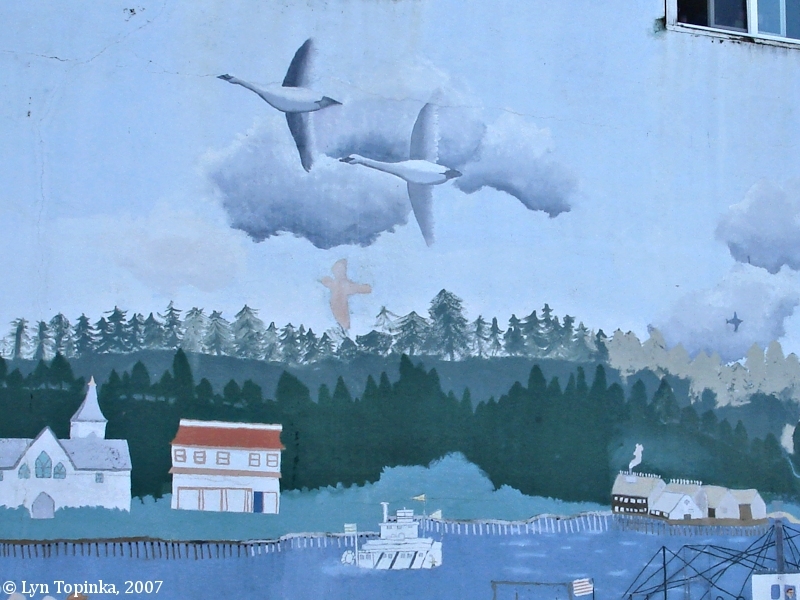 Image taken February 17, 2007. Click image to enlarge Swans, mural detail, Rainier, Oregon. Image taken February 17, 2007. 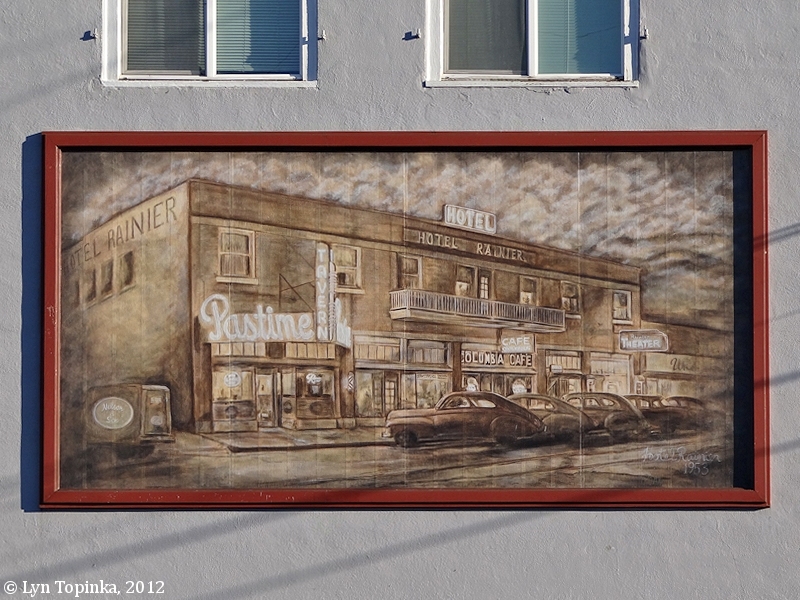 Click image to enlarge "Hotel Rainier" mural, Rainier, Oregon. Image taken January 11, 2012. 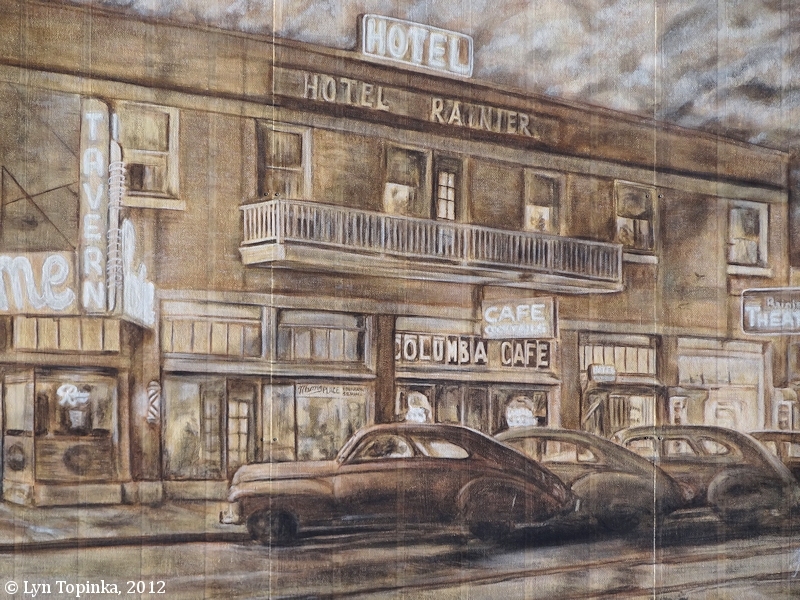 Click image to enlarge Detail, "Hotel Rainier" mural, Rainier, Oregon. Image taken January 11, 2012. 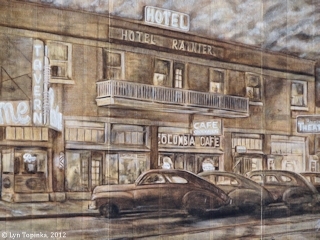 Click image to enlarge 1953, "Hotel Rainier" mural, Rainier, Oregon. 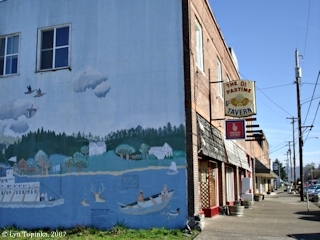 Image taken January 11, 2012. 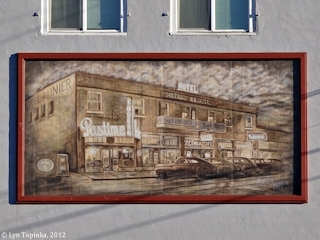 Click image to enlarge 2012, "Hotel Rainier" mural, Rainier, Oregon. 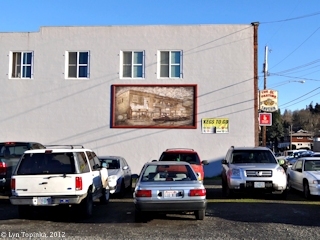 Image taken January 11, 2012. Saw Cotton wood, Sweet Willow, w[hite] oake, ash and the broad leafed ash the Growth which resembles the bark &c. these form the groth of the bottom lands, whilst the Hills are almost exclusively Covered with the various Species of fir heretofore discribed. the black alder appears on Maney parts of the hills Sides as on the bottoms. before we Set out from the 2 houses where we brackfast we Sent on two Canoes with the best hunters, with orders to pro ceed as fast as they Could to Deer island [Deer Island, Oregon] and there to hunt and wait our arrival. 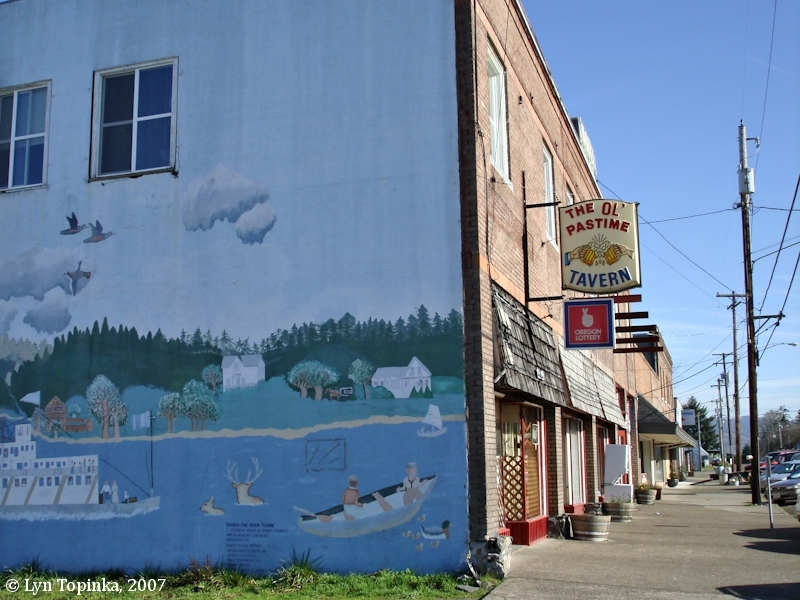 we wish to halt at that place and repare 2 of our Canoes if possible. the Indians that visited us this evining remained but a Short time, they passed over to an Island [Sandy Island ???] and encamped. the night as well as the day proved Cold wet and excessively disagreeable. we Came 20 miles in the Course of this day.